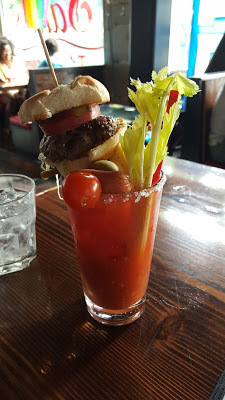 Knowing that Bloody Marys are Marco’s absolute favorite, it was about time he tried Sam’s Tavern in Capitol Hill. 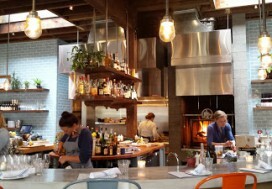 The bar that serves Bloody Marys with an entire burger slider in the “garden” that tops the Mary. 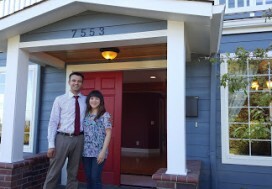 He met up with some friends of ours, who are embarking on the home buying journey, to go over the buying process. For that meeting he had to skip the Mary (gasp!) and stick to work but really enjoyed the appetizers they shared. But of course he had to go back 🙂 And upon his return he tried the onion rings and chicken wings. He was a huge fan of the spice on the wings. And the Bloody Mary. The presentation put it in the favorite Mary category and the mini slider was delish too! If you are looking for a good burger and a good Bloody Mary, hit up Sam’s!